Sell Your Property In As Little As 1 Week At A Fair Cash Price! Receive A Fair Cash Offer Now. There are no escrow fees, commissions, or closing costs. Sell your property “as-is”; no paying for repairs. Close on the date of your choice. Deal with fair and experienced professionals. We may buy with existing occupants. What do you think we did well? Got back to me very quickly. Also, bought as is which really helped. Tell us about your house. If you own a property far away, or are behind on payments, or inherited an unwanted property, we can provide you with a fast all cash closing! Call us to find out why so many people have sold their California property to Quick Home Offers. Receive your offer with 1 business day! If you decide the offer is a fit, consider the property SOLD! Call or Text us! We want to hear from you! Would you like to receive an all cash, as-is offer without having to pay thousands of dollars in commission? Quick Home Offers provides you with The Easiest Way To Sell! Think of us as your “Easy Button“. A lot of people, for what ever reason cannot or don’t want to pay thousands of dollars to fix up a house they’re just going to sell anyways. And most people either can’t, or don’t want to wait 4 to 6 months to finally close on the property. Life throws us curve balls, and sometimes people have to get things done quickly. No matter what the situation is, we’re here to craft an offer around your timeframe, so you can get your property sold and move onto the next stage in your life. We understand life is unpredictable, but we can help by giving you options to sell your property the fast and easy way. If you need to sell your house fast in Corona we are here! We Buy Houses Corona California! 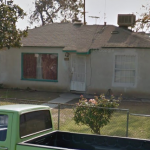 Sell House Fast Corona CA! We also buy in many other places such as Ventura County, Los Angeles County, Inland Empire, Fresno, and more! There are never any obligations to accept an offer! There are no commissions, and no closing costs paid by you! It really is the easiest way to sell. Period! If you’re looking to sell your house cash as is the easy way, simply request an offer! 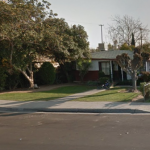 We have sold two properties to Quick Home Offers California this year dealing mostly with Adam Justiniano. Adam is very easy to deal with and he has been honest and prompt every step of the way. Both property sales went through quick and easy. 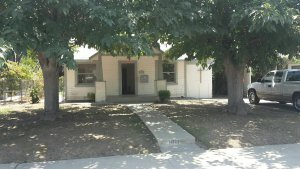 The first property sold in February of 2016 and I waited to do this review until after I was sure they would take good care of the tenants I left with the property. Adam and team kept their word on that. My tenants were very apprehensive about having new landlord and were afraid of evictions or rent hikes. Adam and his partners have been good to my tenants. So when it came time to sale our last rental property, we called Adam again.